I have always enjoyed visiting Venice and one of the reasons is that once I move away from the crowds there are some very peaceful sights to be seen. I like to go off the main path and when I do I’ve found places like this. It was very quiet except for the sound of a boat passing by. There were no people around and it was a wonderful experience. As I continued walking a found a scene that combines several of my favorite things – water, a bridge, and fresh, crisp laundry hanging from the windows. Although I didn’t see anyone it shows that even in Venice people are doing everyday tasks but in an artistic way! Find more serene pictures here. 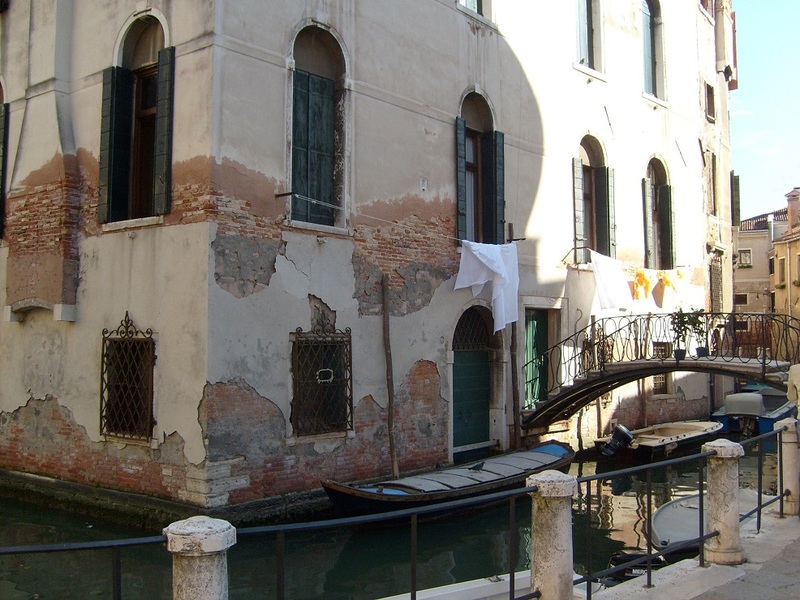 This entry was posted in Italy, Travel, Venice and tagged bridge, laundry, water. Bookmark the permalink. Always enjoy your Venice photos, Meg. Enjoy the weekend! Thank you Amy – it’s one of my favorite places! It does look pretty, with the canals instead of streets, but I can’t help thinking about the dampness in the houses. Nice photos. Thanks – I also wonder whether all that water has an impact on the houses! Beautiful Meg. I love Venice. So many hidden treasures. It is truly a gorgeous city! I can’t even imagine the beauty of living like this, where your first step out the door is onto a charming bridge…but I’d sure like to give it a try! Great photos as always. Thanks – I also think that it would be an amazing place to live! When I was in Venice we took a gondola ride with a singing gondolier. Not exactly serene but I loved every tacky, touristy minute of it and it is a great memory! On our own we got lost and I loved that too. Your photos bring back lovely memories. The gondola experience is as much fun as getting away from the crowd – Venice is such a wonderful place! I can’t even imagine what it would be like to have boats rather than cars pass my window. Something about the water does offer peace. It really is a different world and the boat rides are a great way to get around! I agree with you – it’s a marvelous place to see and I’d like to go back again! It has lots of calm and tranquil scenes! Nice walking tour and well selected photos! Venice is still on our list, maybe someday. It’s hard to imagine finding quite spots in Venice. I haven’t visited but most of the images I have seen to the city have been busy ones. So, it was good to take a tour via your images of peaceful parts. Venice has so many visitors that it is wonderful to be able to find quiet places to simply enjoy being there! Just catching up Meg! So sorry, this is serene times 10 I think. I have always wanted to visit! Venice is a wonderful place to visit and I always seem to find peaceful scenes when I’m there! I love Italy in general but have not made it to Venice yet! I have not been to Venice in years…but I have been having a certain longing that only a wander in Venice might cure. Lovely photos. 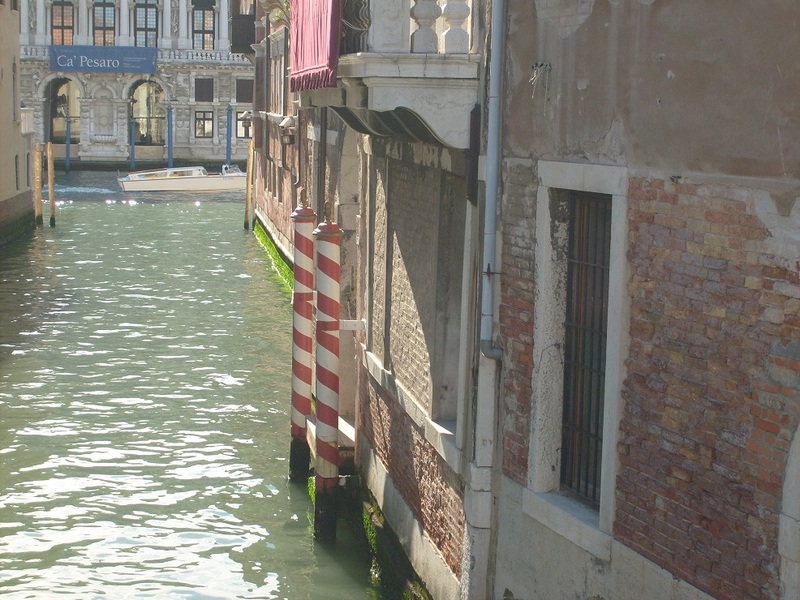 Thanks Teresa – I’m looking forward to seeing Venice again too! Nice photos, Meg. I’ve only been to Venice once but I really enjoyed it. Never too late to marvel at your wondrous photos,dear Meg! Great choice for the challenge,there is serenity indeed in both photos! I’m so glad that you liked them Doda – I think that Venice is a very serene place!